It’s been a long while since Warhorse Studios received funding via Kickstarter for Kingdom Come: Deliverance, but the wait is finally about to end for all those interested in this medieval roleplaying game. With Kingdom Come: Deliverance now set to launch on PC, PlayStation 4 and Xbox One on February 13th, we’ve managed to get Warhorse PR Manager Tobias Stolz-Zwilling on record to talk about some of the final details that the community is still waiting to hear about. As usual, let’s start with the tech info. Kingdom Come: Deliverance is listed on Microsoft’s official Xbox One X enhanced page. Can you share with us your take as a developer on the ‘most powerful console ever made’ as well as the technical specifications of this version (native resolution, target frame rate, graphics settings etc.)? 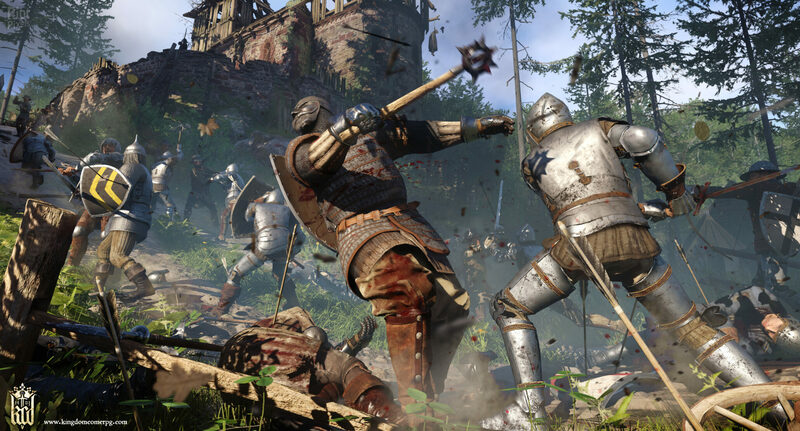 Will Kingdom Come: Deliverance feature support for High Dynamic Range (HDR) displays and if so, on which platforms? The PR Manager didn’t specify the target frame rate on consoles in his replies, but it is a safe bet to assume that it will be 30fps just like practically every major open world game on consoles. Check back tomorrow to find our full interview with Tobias Stolz-Zwilling. In the meantime, there’s a recent hands-on preview by Chris that’s well worth a read.